BEAUTIFUL BOY Review: A Father’s Perspective Of His Son’s Addiction | Birth.Movies.Death. Based on the best-selling pair of memoirs by David and Nic Sheff, Beautiful Boy focuses on the devastating effects of a young man’s drug addiction on his entire family. Avoiding the usual route of dramatizing the downward spiral of another young addict, Belgian filmmaker Felix Van Groeningen (The Broken Circle Breakdown) turns the camera, instead, on David (Steve Carell), a doting father and successful writer committed to helping his son Nic (Timothée Chalamet) survive his addiction to crystal meth. Fixating on the father’s perspective places the weight of the film on Carell’s capable shoulders but limits the narrative to disjointed memories and a lot of time spent dealing with his own guilt while waiting for the phone to ring. Even with a wealth of source material from both novels, this adaptation tells only one side of the story. Nic’s addiction may be the driving force, but his perspective is given very little screen time. Jumping back and forth between present day and David’s memories of Nic as a young man (played by Kue Lawrence and Jack Dylan Grazer), numerous flashbacks give us at least some insight into Nic’s background – how he shuffled between his divorced parents, his feelings of displacement, and his admiration of tortured artists like Nirvana and Charles Bukowski, for example. Glimpses of him bouncing between sobriety and relapses are repetitive, suggesting there’s no end to the cycle of addiction and, perhaps, no hope for a full recovery. It’s a bleak message not usually explored without also providing some sort of closure, but the Sheff’s reality is spared any sappy Hollywood endings. While Nic is eight years sober in real life, Beautiful Boy skips the success story to center on the turmoil within the family and the destructive nature of addiction. If you’ve seen the diner scene in the trailer, then you’ve seen the best this film has to offer. The moments when Carell and Chalamet are together are the backbone of the story. Chalamet, once again, bares his heart and soul in what feels like a negligible amount of attention given to Nic’s side of the story. 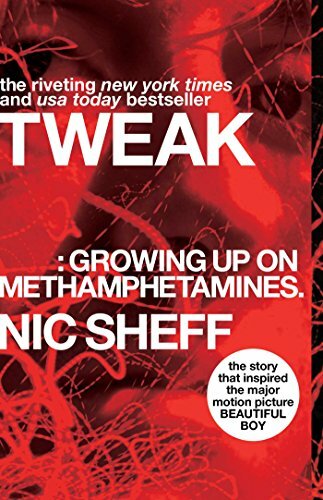 Those left wanting more should stay through the credits for Chalamet’s reading of an excerpt from Nic’s novel, Tweak. Otherwise, David’s memories of happier days are the only indication of Nic’s life before drugs, but Chalamet’s transparency in these moments and his affection toward his father and half-siblings is enough to make his descent into addiction painful to watch. 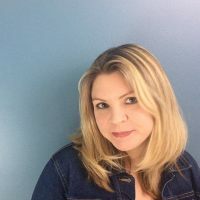 For families who have experienced mourning the living, this is a story that will resonate more than it will for those unfamiliar with the cycles of addiction. Carell’s embodiment of David’s desperate attempts to research and understand what his son is going through will strike empathy in the hearts of most parents. Beautiful Boy consciously avoids the typical approach to this subject matter, but the omissions of the addict’s perspective detach all emotional connectivity, leaving us with only the activities of a distraught father to watch. The film has all the necessary ingredients for heartbreak – David’s helplessness as he lies awake at night worrying about his son, the constant phone calls, the distrust and deterioration of their once close relationship, the driving around town hoping to find Nic alive, the waiting for it all to end even if that means the worst. Everything is there except for the emotional connection to this family. The adaptation keeps its distance from despair, squandering the beautiful performances of its leading men. With the material of two soul-baring novels at their disposal, it’s unfortunate the script came out so one-sided.